We are now 7 events into the 10 event Winter Series and Spring is on its way! 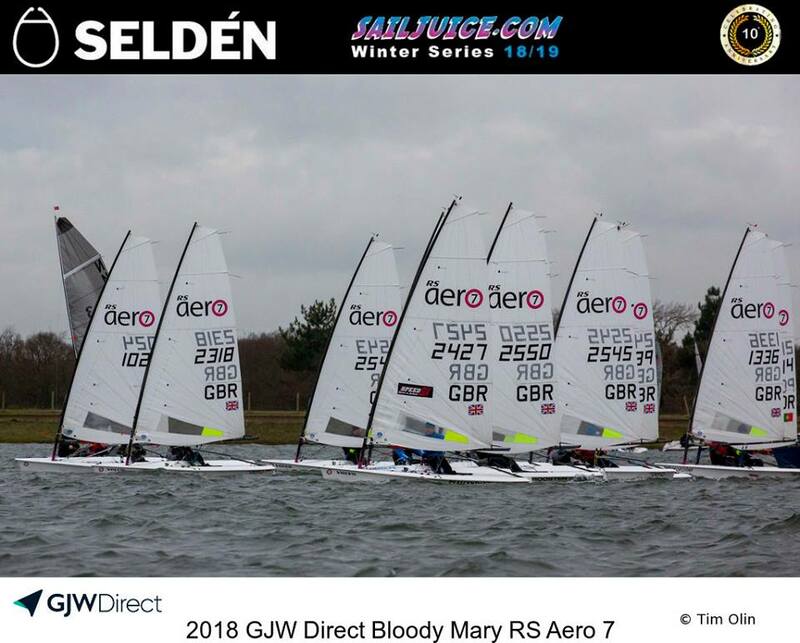 The results sheet is hotting up with 73 RS Aero sailors having completed at least 1 event this Winter and a record number set to ultimately qualify with a series of at least 3 events completed. In what has so far been a mild UK winter with some excellent winter racing conditions the RS Aeros have seen fantastic turnouts and have often been the largest class at the various mass mixed class events. Tim Hire has been blitzing the series with a string of four 1sts recently at Grafham, Queen Mary, Northampton and Rutland. If that was not already hugely impressive enough Tim also won the single handed class outright at Northampton, with a display of both speedy and clever sailing, to take home the Steve Nicholson Trophy. Can anyone match his 1sts and force a tie break at the last event, with the best 3 events to count? There is no sign of that yet and anyone with one win already is best positioned to take on that challenge. The other recent event winner is our UK Class Chairman Nigel Rolfe who on a sunny day at Christchurch Harbour led from the front, leading 14 RS Aeros and winning the day overall too in the mixed 36 boat fleet with an impressive 1, 2 overall. The top Youth is Tim, leading the way and demonstrating the success of the RS Aero Rooster Youth Team programme and the benefit in competing in lots of events to gain experience. Top Youth Lady is Lily Barrett in 10th, showing a successful transition from the Topper Class. Lead Master is Peter Chaplin, just outside the top ten in 11th. 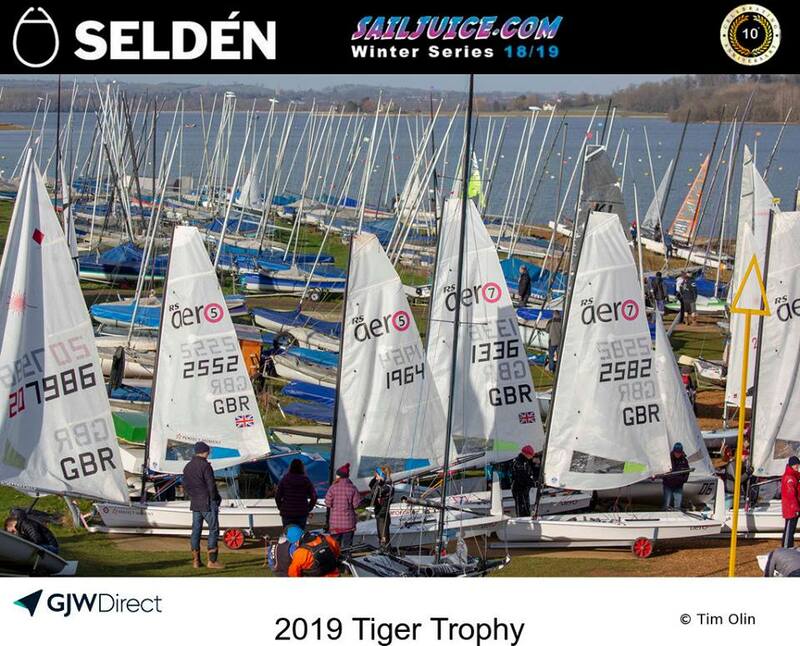 In the Selden SailJuice Winter Series the Top Class Ranking, based on scores of the top 3 from each class in each race, the RS Aero 7s have jumped up several places to reach 4th ranked class out of the 69 classes that have entered the series after a fantastic performance at Rutland. A final successful day at Oxford on the 16th may see the RS Aero 7s hit the podium. The Youth Rankings await a check of the results, to add in Rutland's Tiger Trophy categories, after which we should see Tim Hire contesting the podium there. Lily Barrett contests top ten placings in both the Youth and the Lady's categories. Already 13 sailors qualify with 3 events completed and another 11 are on the verge with 2 events on the scoreboard.